Hands up if your parents used to take pencils, paper and crayons to entertain you when they went out for a family meal? Me! I would happily entertain myself while we waited for our meal to arrive. I used to do this when my son was very small too. I’ve always liked art and as a child my favourite programme on TV was the Tony Hart show ‘Take Hart’. I used to watch him create his masterpieces every week feeling inspired to follow in his artistic footsteps. I wonder if I’d have still done that if smart phones and tablets had been around then? As we know, times have changed….. These days most parents pop a tablet or smart phone into their bag before dashing out to a restaurant. Technology has become the go-to entertainment for our children and sadly they are missing out on the skills, benefits and enjoyment that comes from picking up a pencil or paintbrush and ‘creating’. Of course there is no denying that smartphones and tablets can entertain (or rather keep our children quiet) for hours BUT are they engaging in an activity or are they staring and swiping mindlessly watching and consuming content? I think we all know the answer even if we choose not to dwell on it too much. Art is BRILLIANT for children. It always has been and it always will be. Sadly it’s becoming a smaller and smaller part in our children’s lives and school budget cuts mean it’s disappearing from school life too. This means that children are spending LESS time being creative. There is no ‘right’ or ‘wrong’ way to be creative. Children can experiment with colour, materials and styles. They can make mistakes freely and its just part of the ‘creative process’. They can improve quickly and his makes them feel good about themselves. Anything is possible with a pencil and paper! If you can imagine it, you can draw it. Imagination is hugely important in childhood and we need to nurture this wonderful gift in our children for as long as possible. Imagination feeds into all areas of development and also plays a key part in our reading and writing skills. Drawing, colouring and painting are calming and ‘mindful’. This can have an immense positive impact on mental well being. There is now evidence to show that undertaking mindful activities causes actual physical changes in our brain that help us deal with stress and anxiety. Creative thinking and inventiveness is such a wonderful skill to nurture. 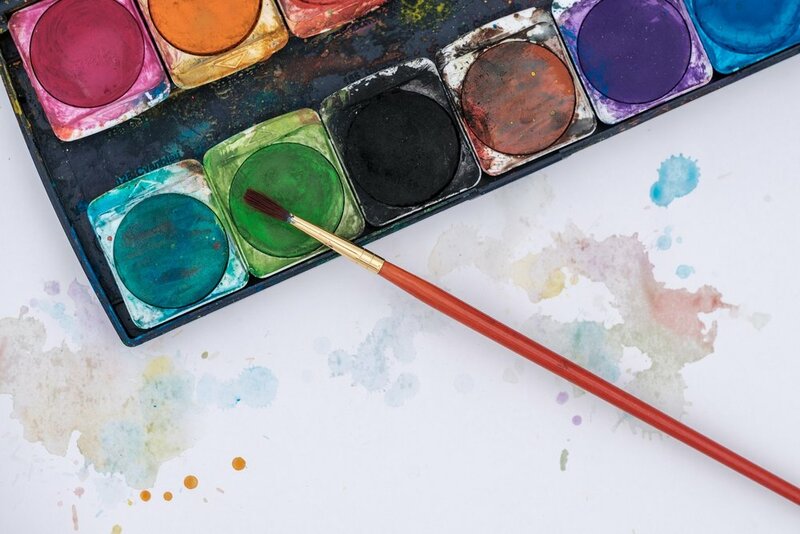 Not only will it help to hone their art skills but this way of thinking could filter through to the rest of their lives and other areas of learning such science and technology. There is nothing more liberating than being given a pencil or paint brush and being able to express your feelings through art. If children are shy or lack the confidence to express themselves verbally, creativity can be a natural and essential release. It really is! Being creative nourishes the soul and makes you feel happy. There is a joyful satisfaction in ‘creating’ and ‘making’. You see results quickly and you smile at your beautiful creation which gives instant gratification.